What is this strange feeling of happiness and sadness at the same time? It came as a complete surprise to me today. 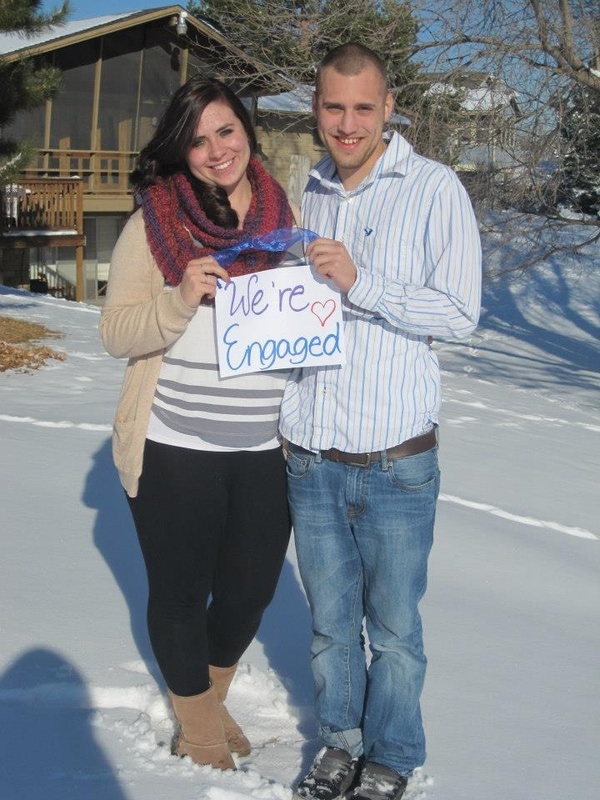 Three days ago my oldest son proposed to his girlfriend. They are giddy in love and I couldn’t be more thrilled for them. She is a perfect match for my son. She is a strong and beautiful woman of God. I have known her since she was a young teen and now she is to be the future Mrs. Hudson. I am happy. My son will also be graduating from college in two months, and today I ordered his college graduation announcements. I think the reality of it all is sinking in. I soon will be the beaming mother-of-the-groom as my son walks down the aisle to marry the love of his life, and even sooner yet will be the beaming mother watching her firstborn son walk across the stage at his graduation ceremony. But this strange sense of sadness has come over me that I don’t quite know what to do with. This does not seem like an appropriate time for sadness, but I am sad. I asked The Lord, what is this that I’m feeling? He told me it’s the reality that my baby boy is not little anymore and it’s time for him to fly. It’s time to cut the apron strings, so to speak. I have watched as he has grown and matured, knowing that this day would come eventually, but I think I was living in denial that it would be so soon. My little guy who used to love puppies and playing baseball and bringing his mama dandelions from the backyard is all grown up now. He is a man who is soon to have a wife. How did this happen so quickly? How could it be that it has been 22 years since he came red-faced and screaming from my womb? So many happy memories of his childhood are flooding to my mind…precious memories that I will have forever and ever. So, today I am both happy and sad. I know there are fun and exciting times just ahead and I will treasure these times in my heart forever. Thank you, Lord, for the amazing privilege and blessing of raising this man child. I love this child with my whole being. Tonight, Lord, I think I have a little better glimpse into Your great big heart and I think my own heart is growing in its capacity to feel. This is an experience like none other in my parenting journey. It’s the end of one chapter and the beginning of another. It’s both happy and sad, and I’m okay with that.